• Molded in tough polyethylene with fully integrated hinge. Small Mini Grit Bin or Salt Bin for Homes, Schools, Shops, Clubs and small businesses! This very tough, medium density recycled polyethylene is very durable and can be left outside all year round. Ideal for domestic use in winter as a grit bin but also for storing tools, car washing kits etc. during the summer! 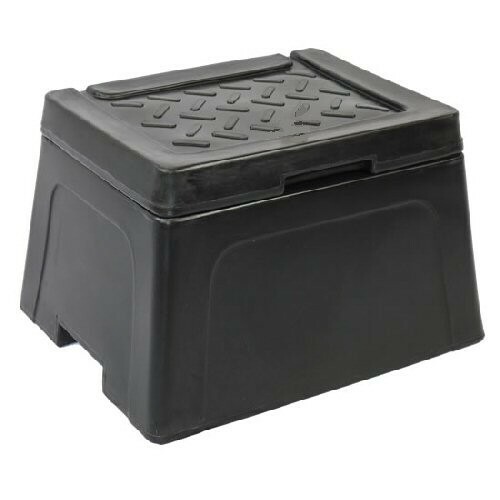 The molded tread plate on the lid, with a fully integrated hinge, can also be used as a non slip step.